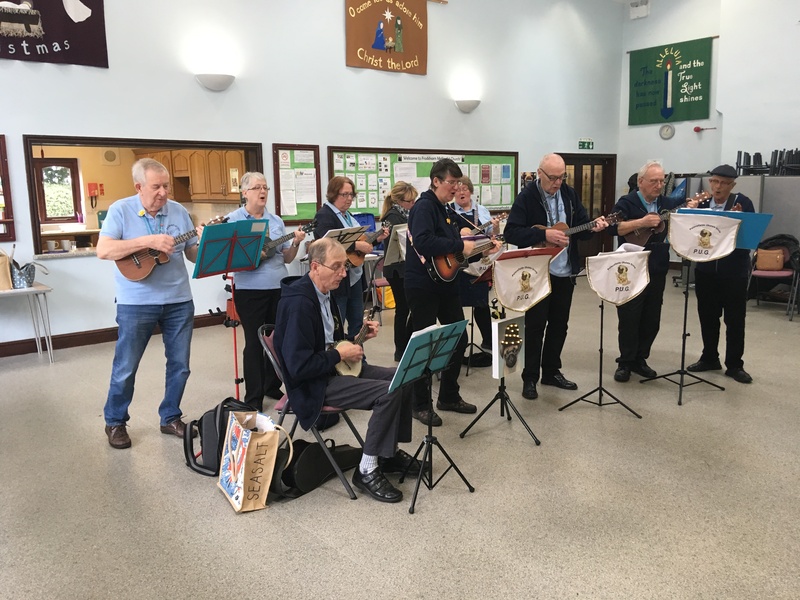 The club caters for men and women from Frodsham and the surrounding areas who welcome a chance to get out of their own surroundings and spend time with other people, making new friends, enjoy a varied programme of activities and share a hot, two course lunch. Transport within the local area can be provided by arrangement by one of our volunteer drivers, or they can make their own arrangements. Frodsham OPAL Club 27th March 2018. The members are entertained by the Palacefield Ukulele Band (PUG). Frodsham OPAL Club 20th March 2018. Easter bunnies with cream egg tummies! 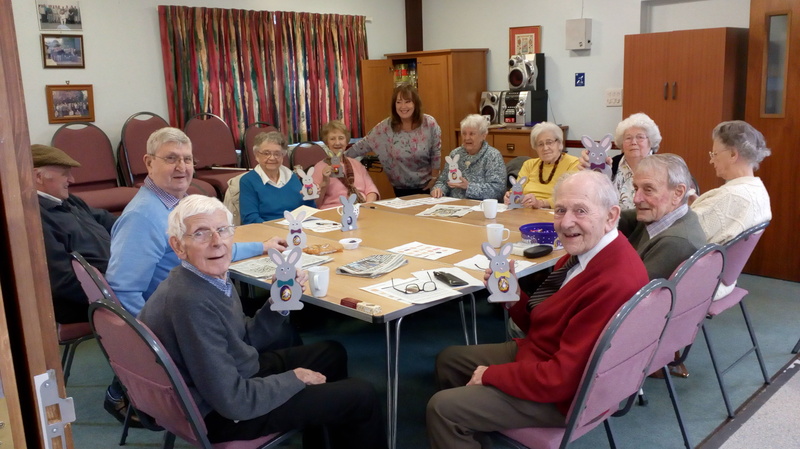 The OPAL Club would not be able to run without the help of a team of dedicated volunteers who come to help on a regular basis, usually fortnightly or monthly, and for all or part of the day – whatever suits their own lifestyle. 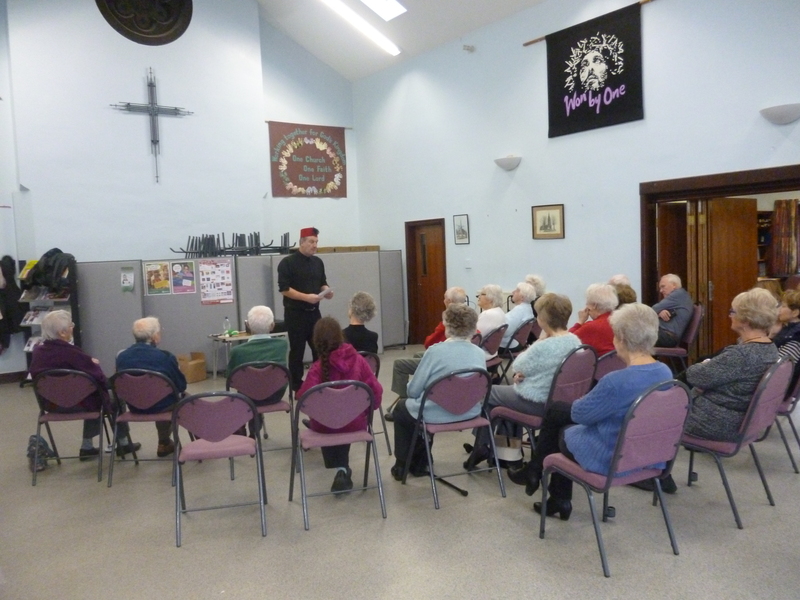 Volunteers spend their time in a variety of ways helping members, both at the Methodist Church and when we go out for visits or trips. Some cook and serve the meals, others plan and organise the activities with active support from the members so that everyone can enjoy the fun, friendship and family atmosphere. 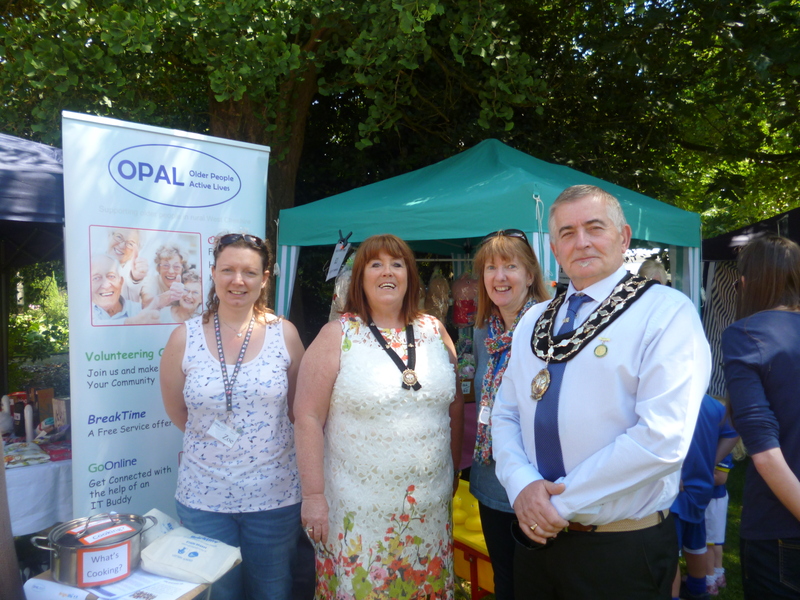 The Mayor or Frodsham (Cllr Alan Oulton ) visited our stall at Festival in Castle Park on 2nd July 2017, organised by the Rotary Club. The weather and lots of people turned out to enjoy it. The Jewellery and Teddy Tombola helped to raise £316 for Club funds. Thanks to all the volunteers for their hard work. 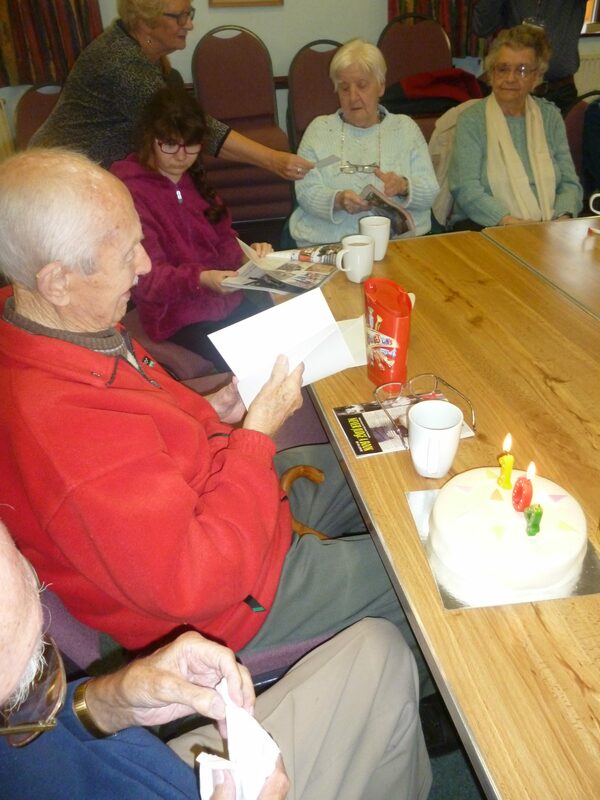 Our oldest member John Miller celebrated his 104th birthday in November 2016 – and still going strong. If you, or someone you know, wishes to find out more, please contact Zoe for details of how you can get to become a member or a volunteer.